This week, “The Charlotte-Mecklenburg Emergency Shelter System: Assessment of Capacity and Utilization” was released, providing the community with a comprehensive look at the overall emergency shelter system.  The assessment was completed by Mecklenburg County Community Support Services in partnership with United Way of Central Carolinas.This blog post will provide an overview of the assessment, its key points, the context behind it and what the assessment can mean for Charlotte-Mecklenburg. The Lotus Campaign (Lotus) was launched in late July 2018. Lotus has as its goal increasing the availability of housing for people experiencing homelessness by engaging the private, for-profit real estate and investment communities. Lotus’ market-based approach has three components: incent, invest and advise. This blog post is the first in a three-part series about the Lotus Campaign and this affordable housing approach driven by private philanthropy and the desire to give back. This post is the final in a three-part series that will provide an overview of the strategies presented in the February 2019 report: Aligning Affordable Housing Efforts with Actions to End Homelessness by the United States Interagency Council on Homelessness (USICH). The report calls for action alignment across these areas.This blog post will provide an overview and analysis of the last three strategies as well as what it means for Charlotte-Mecklenburg. This post is the second in a three-part series that will provide an overview of the strategies presented in the February 2019 report: Aligning Affordable Housing Efforts with Actions to End Homelessness by the United States Interagency Council on Homelessness (USICH). The report calls for action alignment across these areas.This blog post will provide an overview and analysis of the middle three strategies as well as what it means for Charlotte-Mecklenburg. The solutions for ending and preventing homelessness and reducing housing instability are the same: permanent, affordable housing. Importantly, failure to address one area impacts the other: if enough affordable housing is not available, shelters cannot clear out beds for people who need them. People facing housing instability who then lose their housing have nowhere to go; families often must separate to find temporary shelter. Therefore, it makes sense that efforts focusing on homelessness, housing instability and affordable housing work together in order to maximize results. This post is the first of a three-part series that will provide an overview of the strategies as well as how they might apply within our local context. The snapshot provides the latest update on the work to end and prevent chronic and veteran homelessness in Charlotte-Mecklenburg. This update reflects the progress on the coordinated, community effort to address both chronic and veteran homelessness.  There are exciting changes coming to the Charlotte-Mecklenburg Housing & Homelessness Dashboard in 2019. This post will highlight what those changes are and how you can stay connected to get the latest updates. The October 2018 blog post “Connecting the Dots from the Report Part 3: Driving Change, Managing Lanes” outlines the importance of identifying roles – or “lanes” – for organizations to operate within to support each other as well as to realize a shared, strategic vision to end and prevent homelessness. It discusses the need for agencies to complement rather than compete for funding and resources. A Child’s Place applied this thinking to our organization. This blog post is a reflection on what we discovered, and what we plan to do next. I have served as a volunteer for the Point-in-Time Count for multiple years. Starting in 2018, our community began using the “Counting Us” app to conduct the survey as part of the annual Point-in-Time Count. As a volunteer, you are trained to use the app to complete survey questions with people experiencing homelessness. Many questions are answered with a drop-down choice, and the survey is easily completed within 10 to 15 minutes. At the end of my shift I successfully submitted the completed survey questions – answers to questions that will help our community continue to receive funding and, just as importantly, inform local work. But I left with so many of my own unanswered questions. The Everybody Counts Charlotte: 2019 Point-in-Time Count was conducted between January 22 and February 1. Volunteers and staff have completed surveys with individuals and families experiencing homelessness in emergency shelters, transitional housing and outside in unsheltered locations. Last year, 1,668 people were counted during the Point-in-Time Count. We share with individuals and families experiencing homelessness that completing the Point-in-Time Count survey is one way to help make their voices count: we will use the information gleaned from the survey to make changes in the community. Individuals and families are not required to complete the survey, but many of them do…each sharing their personal experiences with complete strangers in order to help others. To be counted. To be heard.